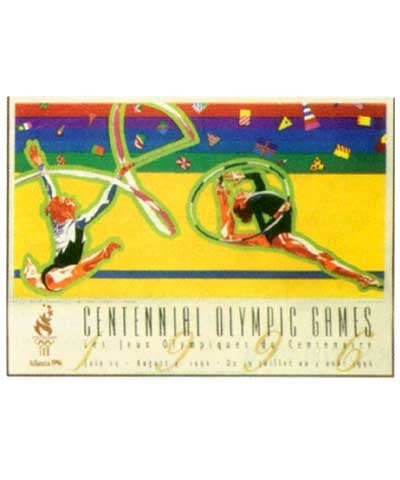 1996 Rhythmic Olympic Print. The Olympic Sport Series by Hiro Yamata, Celebrating Rhythmic Gymnastics. 18" x 24"